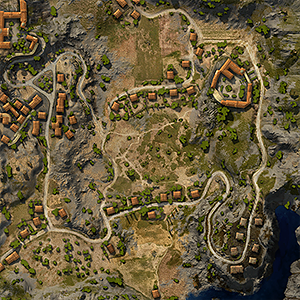 Hills on the periphery of the map are covered with numerous houses and winding streets advantageous for surprise attacks. An open area between the bases is favorable for daring strikes. Except for clan wars, this map is only available to tiers 3 and below. This map features a little of everything, but focuses on team success through attrition. Most fighting is done at a distance, so light tanks have a high casualty rate on such maps - especially those sporting machine guns (T1 Cunningham, Leichttraktor) instead of a single heavier gun (RenaultFT, MS-1). 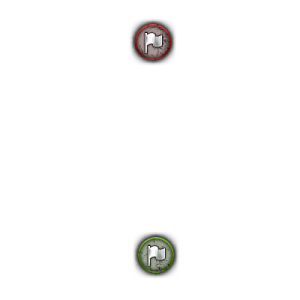 The two sides start in opposite corners in the southwest and northeast overlooking their respective flags. The map is a cavernous valley with rims along the east and west. Buildings are strewn along both the rims and down in the valleys as well as a variety of large bushes, so cover is plentiful. Much of the action will focus on the points of the two valleys in the northwest and southeast. Both ascent to and descent from these positions is difficult - tanks will be slowed to a crawl and exposed to fire from the opposite rim, but these climbing paths are extremely difficult to defend from immediately above. Getting a friendly tank on one of these paths will expose all enemies above them to fire. This map is a chess game, usually won through attrition and the targeting skills of individual tankers. 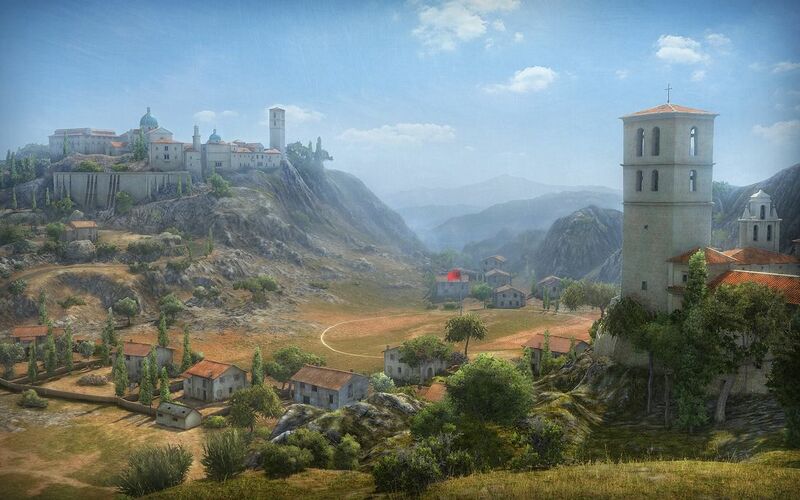 There is almost nowhere to "hide" on this map: when you fire, expect counterfire! To the extreme northwest is a monastery that overlooks the enemy objective, but the road to it is steep and completely exposed. Reaching the monastery is satisfying until one realizes that they have almost no field of vision. This position should be avoided as a waste of time. To the northwest there is a walled compound which overlooks the valley. While it provides a superb lookout point and firing position, it is also a primary target for opposing forces. When taking up a position here, the "peek-a-boo" tactic should not be underestimated. In comparison to the western ridge which is uniformly too steep to ascend from the valley except via the switchback roads, there is a point along the eastern ridge that some Tier II+ tanks have been able to climb and use to disrupt enemy forces. You can't hit what you can't see. It's critical to get one or two light tanks to the bottom of the valley up against the opposing cliffside to expose enemy positions. Both sides start out with a quick shot straight across the valley, with tanks going from the northeast to northwest corner and southwest to southeast corner almost immediately. Simultaneously, tanks usually head from the southwest to the northwest edge of the valley rim and the northeast to the southeast edge of the rim, spreading out and taking cover behind buildings and bushes as they go. Though dangerous, it is also critical to station one or two tanks amongst the buildings along the access roads for thorough visibility. One "all-in" tactic is to rush a platoon of light tanks up the side of the opposing hill. If they can gain the corner they can flank the enemy and expose them to supporting fire from across the valley. To prevent this, the defending team should station a minimum of a platoon in defense at the top of the ridge. The only effective method of covering these switchback roads is from across the valley, so supporting fire should come from light tanks stationed at the base of the opposing ridge. It is also a good idea for defense to position 2+ tanks in the staging area for defense of the flag areas from opportunistic scouts. These defenders will usually be very difficult to detect or destroy while concealed and can assist with supporting fire aimed at the opposing ridge corner. This page was last modified on 13 September 2018, at 19:44.